The curry tree is a tropical to sub-tropical tree in the family Rutaceae, which is native to India and Sri Lanka. Its leaves are used in many dishes in India and neighbouring countries. Scientific Information: The scientific name of the curry plant is Murraya Koenigii Spreng and it belongs to the Rutaceae family. The plant is native to India and is usually found in tropical and subtropical regions. It is cultivated in various other countries such as China, Australia, Nigeria and Ceylon. Height of the plant ranges from small to medium. The most useful parts of this plant are the leaves, root and the bark. Some of the other chemical constituents present in curry leaves include carbazole alkaloids. Research studies held by the Department of Home Economics at Kenmei Women’s Junior College in Hyogo, Japan showed that alkaloids found in curry leaves possess antioxidant properties. Carbazole alkaloids include mahanimbine, murrayanol, mahanineoenimbine, O-methylmurrayamine A, O-methylmahanine, isomahanine, bismahanine and bispyrayafoline. . Further studies conducted at the Department of Horticulture at Michigan State University suggested that these chemicals had insecticidal and antimicrobial properties as well, specifically mosquitocidal properties. Stops Diarrhea: Research studies conducted by Ashish Pagariya and Maithili, V. concluded that the carbazole alkaloids present in curry leaves or Murraya Koenigii had anti-diarrheal properties. Experiments on lab rats showed that carbazole extracts from curry leaves had significantly controlled castor oil-induced diarrhea. A bunch of curry leaves can be ground up and the paste can be eaten or the juice of the leaves can be consumed. Antioxidant Properties: Research studies conducted by Mylarappa B. Ningappa et al. at Jawaharlal Nehru Center for Advanced Scientific Research, Molecular Parasitology and Protein Engineering Laboratory in Bengaluru, India have indicated that curry leaves or Murraya Koenigii is a good source of antioxidants. The presence of various vitamins like vitamin A, B, C and E help in reducing oxidative stress and free radical scavenging activity. Curry leaves can be added to your curries, vegetable stews and soups. They are also available in dried powder form. 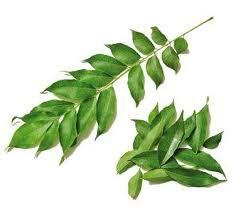 Anti-Diabetic Properties: Perhaps one of the biggest health benefits of curry leaves is its use in diabetes control. Research conducted by the Department of Biochemistry and Molecular Biology at University of Madras, Chennai had shown that the anti-hyperglycemic properties of curry leaves were beneficial in controlling blood glucose levels in diabetic rats. Eyesight: Curry leaves contain high amounts of vitamin A and are therefore good for eyesight. Vitamin A contains carotenoids which protect the cornea, which is the eye surface. Deficiency of vitamin A may cause night blindness, cloud formations in front of the eye and even the loss of vision loss in some cases.